Dr. Herlyn, I been researching my successful Melanoma treatment and came across a research paper of yours “Tumors as elusive targets of T-cell-based active immunotherapy”. It postulates the mechanism underlying is the Antigen-Specific T-cell base immunotherapy can result in a complete response if activated appropriately. I believe that you diagram was right on target. My therapy was three clinical trials that followed your proposed mechanism. I did DTIC + PaTrin-2 to shed the right antigenic protein. 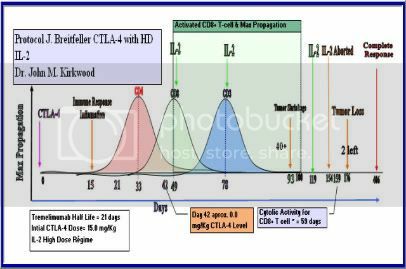 Then I used Anti-CTLA-4 blockage to activate CD4+ T-cells and suppress the Tregs. IL-2 HD was added to help differentiate the T-cells and maintain there function and survival. Timing and dosing concentration played a major factor in breaking the balance of the tumor’s microenvironment. During my therapy I did get an inflammation response leading to a complete response. Attached is a draft of what transpired and the dosing and timing. I believe this information might be very helpful in your research. "Melanoma and the Magic Bullet (monoclonal antibodies"
lost the surface expression of the epitope relevant to the vaccination [66,67]. Abbreviations: CR, complete response; PR, partial response; X, cells killed by the therapy. 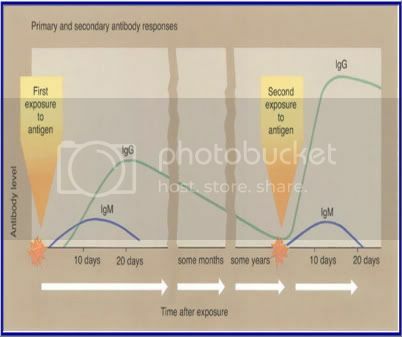 As you can see, the maxium Antibody level occurs on day 20. My Inflamed response occurred on day 15. This all fits together. This Document would be the proof that there was or wasn’t a shortage/problem. We would also like a copy of the production log book ledger dating back to 7-1-2008. 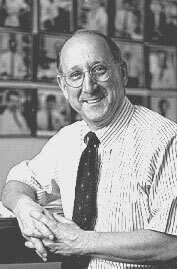 "To ensure treatment is not interrupted for patients currently receiving ipilimumab and to provide ongoing supply to the registrational program, Bristol-Myers Squibb and Medarex have suspended enrollment of new patients into the compassionate use program, single patient exemptions and initiation of some non-registrational trials effective September 12, 2008. "Ipilimumab which ASCO reported some promising results had been widely available in compassionate use trials across the county until a shortage halted the studies. Bristol Myers Squibb, is now manufacturing the drug again and there are a few small “pharmacokinetic” trials to prove the agent is the same as the previous one used in trials. Most of these trials already have waiting lists, but it may be worth checking out. Screening started August 4th and you can find the locations on www.clinicaltrials.gov." They already know it works well with Melanoma, so why not find other uses. Ipilimumab is not back yet. Patients are not being encouraged to wait for Ipilimumab to become available for now. 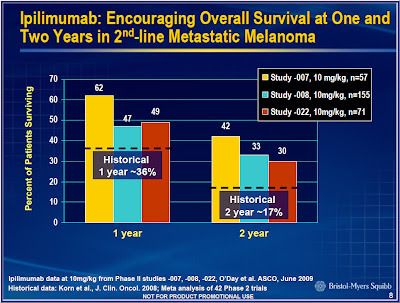 The only Ipilimumab melanoma trials currently enrolling new patients in the US are the brain metastases trial (CA-184042) and the phase 3 adjuvant trial (CA-184029) because the supply for those trials was protected in advance. Bristol Myers Squibb is working diligently to overcome the drug shortage, but can’t guarantee a time that it will return to the compassionate use setting. As you can read, BMS is not even acknowledging that they even produced other batches.They are hiding the fact that they are back online. Their communication skills with the public/patients are NIL. 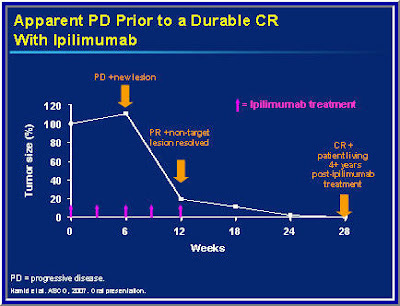 Instead they are starting new protocols with Ipilimumab. Where is the FDA in al of this? Who is watching the hen house? When I searched for drug shortages on the FDA website, Ipilimumab did not show up. We the Patients have had to hear it from second-hand sources like the Melanoma International Foundation and Melanoma Research Foundation. I don’t believe that their ad advertisers (The Ogilvy Group Inc) can repair the public’s trust in this company. They have major issues. I hope see some dialog started between the patients and BMS. BMS needs somehow to regain the public's trust. I am under the impression that greed and power-play is mixed in all of this. It all has to do with the STRING OF PEARLS intiative. How Drugs are Developed and Approved by the FDA? This paper is very technical but gives great insight into Melanoma and the pathways that are associated with it. It is quite long and should be read in small bites. Please don't be intimidated by it. regarding the main molecular changes responsible for the onset as well asthe progression of melanoma toward a more aggressive phenotype have been described. Genes and molecules which control either cell proliferation, apoptosis, or cell senescence have been implicated. 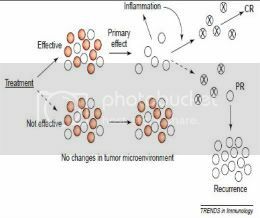 Here we provided an overview of the main molecular changes underlying thepathogenesis of melanoma. All evidence clearly indicates the existence of a complex molecular machinery that provides checks and balances in normal melanocytes. Progression from normal melanocytes to malignant metastatic cells in melanoma patients is the result of a combination of downor up-regulation of various effectors acting on different molecular pathways. Treatment of advanced (stage III and IV) melanoma is in desperate need of some good news. Although the incidence of melanoma is increasing by a whopping 3 to 5% per year in the United States, current therapies don't significantly increase survival in most patients and no new first-line medicines have been approved in over 10 years. Allovectin-7 - This novel gene therapy is injected directly into the tumors of patients with stage III or IV disease, which then alerts the body's own immune system to attack the tumor. Earlier trials of Allovectin alone showed that tumors in 4% to 9% of patients responded to the therapy. The new trial is comparing Allovectin-7 to the standard chemotherapy treatment, either dacarbazine or temzolomide. Made by Vical. Find out if you may qualify for the AIMM trial of Allovectin-7. oblimersen (Genasense) - Genasense is a unique inhibitor of Bcl-2, a protein made by cancer cells that is thought to block chemotherapy-induced cell death (called "apoptosis"). So by reducing the amount of Bcl-2 in cancer cells, Genasense may enhance the effectiveness of current anticancer treatment. Previous studies demonstrated that Genasense combined with the chemotherapy drug dacarbazine tripled response rate and significantly increased overall survival compared to dacarbazine alone. Made by Genta. Find out more about the AGENDA trial of oblimersen. MVax - MVax is a melanoma vaccine prepared from the patient's own cancer cells. Several studies have shown that MVax followed by interleukin-2 can lead to a complete response in up to 13% of patients, double that of interleukin-2 alone. MVax is also effective in patients with stage III melanoma when given post-surgery: it doubled the 5-year survival rate compared to surgery alone. Made by AVAX Technologies. Find out more about the MVALDI trial for MVax. 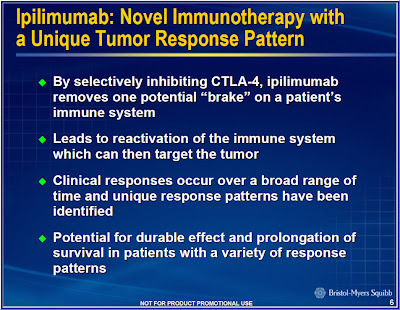 ipilimumab (MDX-010, MDX-101, or BMS-734016) - Ipilimumab is an antibody that activates the body's immune system to fight melanoma by inhibiting the CTLA-4 molecule. Three previous phase II clinical trials have shown that treatment with ipilimumab results in a one-year survival rate of 47% to 51% for people with stage III or IV melanoma, which is almost double the average. The current trial is comparing ipilimumab to a dummy treatment (placebo) in patients with stage III melanoma who have already undergone surgery. Made by Medarex and Bristol-Myers Squibb. Find out more about the EORTC 18071 trial for ipilimumab. OncoVEXGM-CSF - OncoVEXGM-CSF is a vaccine that works by spreading within tumors and causing the death of cancer cells while stimulating the immune system to destroy metastatic tumors. Previous results from 50 patients with inoperable stage IIIc/IV melanoma demonstrated that 28% of patients responded, including 12% with a complete response. The new trial is enrolling patients with previously treated but inoperable stage IIIb, IIIc or IV melanoma and is designed to compare OncoVEXGM-CSF to a naturally-occurring substance in the body called a "granulocyte monocyte colony stimulating factor" (GM-CSF), which increases white blood cells. Made by BioVex. Find out more about the trial for OncoVEXGM-CSF. Those who take part in clinical trials get access to the latest treatments that are often not available anywhere else. These treatments may be better than the standard of care and may offer the only hope for those with advanced disease. Simply put, participation in clinical trials by patients like you is the only way research will advance toward an eventual cure for melanoma. Talk about the possibilities with your doctor! ClinicalTrials.gov. 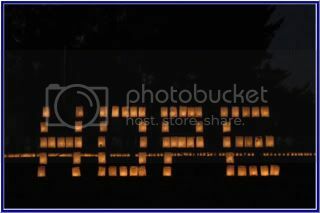 US National Institutes of Health. 10 February 2009. So why is the compassionate Use not first inline to get it? 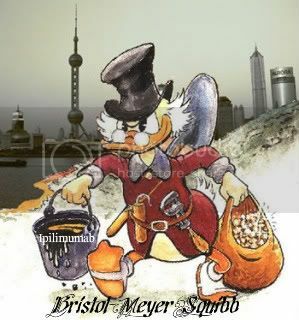 Bristol-Meyer Squibb, LET YOUR TRUE COLORS COME SHINING THROUGH!!!!!! !